The Gfinity Arena has been a hotspot for Counter Strike recently as the CEVO Gfinity Pro-League Finals have been unfolding, with both exciting comebacks and unexpected victories taking place. 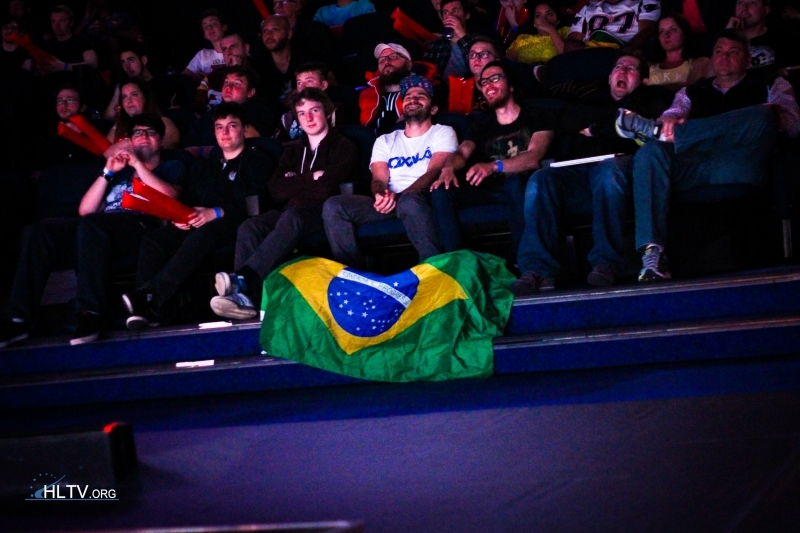 Let's dive straight in with the series that kicked off Day 1 of the Group Stages. 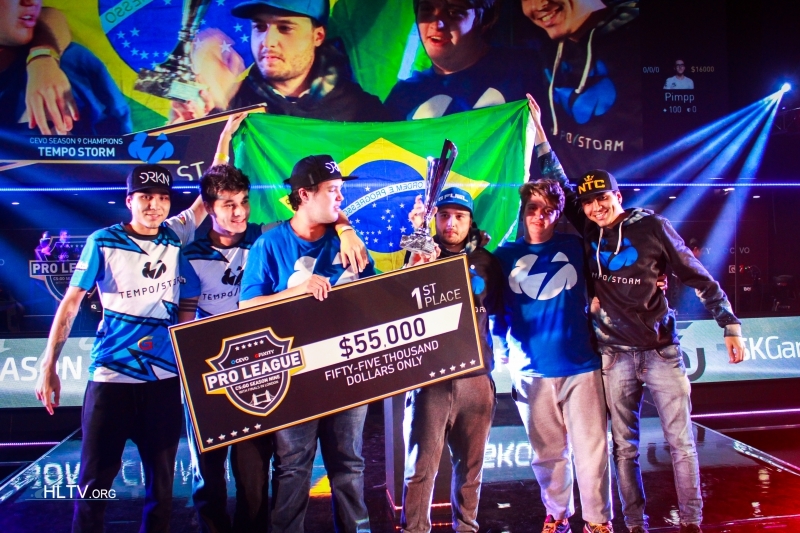 Tempo Storm defeating SK Gaming was the first series of the event, with it certainly being an exciting one at that. Early on we saw an intense veto process that highlighted each team's strategical prowess. Map 1 was set, Train, SK's map pick. However, SK was unable to find any grounding at all on the Terrorist side, leaving Tempo with an undeniably strong 14 - 1 first half, a scoreline that will certainly leave any SK fan with a sour taste. The dream was kept alive though by Pimp stepping up to the plate, allowing SK to bring themselves up to 12 rounds, unfortunately, this simply wasn't enough as the game was closed out 16 - 12. Moving into 2nd map with an already hurting mindset, certainly not a pretty site. The map was set, Cobblestone, Tempo's pick. Another decisive performance coming out from them meant Tempo claimed a 12 - 3 half, before closing out the game 16 - 6. The second series that took place consisted of known legends Virtus.Pro, pitted up against North American interest, Splyce. The veto did, in fact, favour VP from an analytical perspective, who have been known to be confident opponents on Mirage. The second map in the series was Cobblestone, albeit a map that VP have had played to mediocre success. After some back and forth play VP were able to take the first map 16 - 14, to a resounding success. Spylce then played unexpectedly allowing themselves to in fact find a 16 - 11 victory, within Map 2. Things began to get tense for both sides but thankfully, Virtus Pro, were able to dominate the map taking another 16 - 11 win, claiming the overall series 2 - 1. This one is a quick and simple matchup of Dignitas vs Selfless. It was certainly 'quick' as it ended drastically in favour, both maps, for the Dignitas side in a smooth 16 - 6 / 16 - 5 fashion on both Inferno and Mirage respectively. In a similar fashion to the second game of Group B, this was another decisive victory - though with a slight twist. HellRaisers vs OpTic Gaming. Optic found a surprise early on map victory on Cobblestone, however, HR proceeded to demolish OpTic on Cache / Overpass is a 16 - 8 and 16 - 3 style. Game three of group B was another simple one at that, a spectacle where unfortunately for Selfless, hammers were dropped as they struggled to pick up more than 4 rounds across both maps. SK taking victory 16 - 3, 16 - 1. Game 3 of Group A was actually one of the closer group stage matchups, with North America battling head to head across three maps. Mirage, Train, Cobblestone. OpTic found the early on momentum up against Spylce as they land themselves a sweet 16 - 3. Moving on to Train it was a fair chunk closer until Splyce were able to grind out the rounds required to even it out, 1-1, after a 16 - 12 scoreline on Train. OpTic though stepped up once again proving that they have the attitude and stamina to bring themselves back as they do eventually find the 3rd, deciding map, in the bo3 series, 16 - 8. This was set to be another exciting matchup, and it certainly delivered. Allowing three back-to-back matchups from Mirage, through Cobblestone and lastly Cache. The first two maps being traded as 16 - 12, 12 - 16 respectively before an invigorating final map allowed Tempo Storm to come out ahead, 16 - 14, against Dignitas. It's worth highlighting however the halftime scores across this series were certainly not stretched apart, with 9 - 6 being common as well as an 8 - 7 on Cobblestone. A big question lingering throughout the audience was would the plough engage against HellRaisers or would they simply raise the level of play and perhaps snag a victory here. First up; Mirage. Unfortunately, for VP, the map did not start out in its usual fashion for VP as HR manage to pull ahead as they approach half time. 10 - 5 so far for HR. This is where the games began to get interesting though as things got closer and overall more intense until eventually, HR manage to secure a victory of Map 1, 16 - 14. A complete shock for VP. Second map only went downhill from there as VP struggled to come out on top in the first half before HR inched away at rounds on Cobblestone, eventually finding themselves a 16 - 11 victory, claiming a series win 2 - 0 against VP. The first map in this Bo3 scenario went down the drain rather quickly as SK find a quick lead, taking a 16 - 3 win on Cobblestone early on. Unfortunately for Dignitas they were then met with Overpass, a foe that they could not tackle when handling SK, ultimately leading to SK claiming a common, 16 - 11 victory, and the overall series win, 2 - 0. In one of the last group games we saw legends, VP finally manages to awake once again when handling the North Americans. A unique veto consisting of mirage once again, a map we've previously mentioned being one of VP's hot topics so far, and with that said it perfectly works out in their favour as they find a smooth 2 - 0 series win, claiming Mirage 16 - 6 and Inferno 16 - 8. Group Stages were completed, this is where the core part of the competition kicks off now as we reach playoff stages. Before we jump into the playoffs bracket, let's take a look at the final standings of each group. The maps were to be Dust 2 (HR's Pick), Overpass (SK's Pick), Cobblestone (HR's Pick), Mirage (SK's Pick) and lastly, Cache, acting as a decider. A Bo5 map pool is set, the server was prepped, all that was ready was for the teams to begin to play. SK started off extremely strong, being able to close out the first map fairly rapidly with a 16 - 10 scoreline. Impressive stuff so far. The second map was much less glory as HR began to make their move, contesting that first map victory. However, once again it was simply not enough to best SK as they manage to find themselves the extra two rounds to squeeze a 16 - 14 finish out of Overpass. HellRaisers were noticeably struggling at this point on Cobblestone as SK mopped up the remains, claiming a 16 - 3 victory, placing them in the Grand Finals. On the other side of the bracket, the focus was less on the frills and more on the game as things got underway in the second semi-final, consisting of Tempo Storm and Virtus.Pro. Both teams grappled back and forth over a period of a long few hours, Tempo claiming an early map win on Dust 2, 16 - 9 before following that up with another win in quick succession on Train, 16 - 7. VP snapped back, however, finding a devasting 16 - 3 on Inferno before also clutching out the rounds in an intense 16 - 13 Cache match. 5th map, with all to play for, Mirage was set to be the playing field. TS took a decisive first half, 12 - 3 before VP crawled their way back in with hard aggression and meticulous retakes. Thankfully for Tempo, they only needed four rounds to secure that grand final spot, closing out 16 - 11. For all intensive purposes, this was it. A matchup of that was certainly unexpected to be seeing in this grand final matchup, the talented Danes vs the rising Brazilians. Map 1, Tempo were certainly feeling the heat as they decimated any attempt at a tangible round from SK, with a 14 - 1 score at half time, eventually claiming a 16 - 5 victory on Cache. Dust 2 was the map that kept the arena alive as cheers were audible left right and center, with overtime coming into effect as rounds were traded back to back. TS slowly edged out a lead claiming a 19 - 17 victory at the end of Double OT. SK stood up valiantly on the third map, under the realisation that they surely didn't want TS to be able to smooth them over, 3 - 0. A decisive 16 - 9 victory on Mirage for SK. Unfortunately for SK they weren't quite able to bounce back long enough as TS played a strong Cobblestone, eventually taking the 4th map 16 - 8. <a href=https://astrozcafe.com/>online astrologer in Delhi</a> available here.